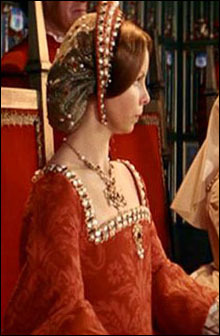 This beautiful red gown was made for Lalla Ward in the film Crossed Swords. 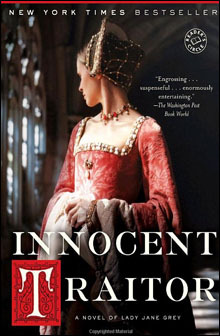 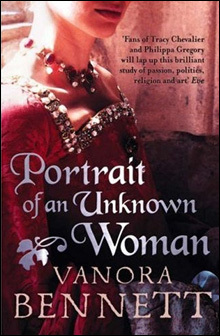 It was used again in Henry VIII on Emilia Fox, but then went on to be used on three different book covers. 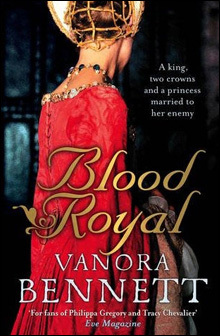 Considering the model on each book cover appears to be the same, as well as the fact that the necklace and headdress on all of the books are the same as well, we can only conclude that the images for all three of these book covers were taken during the same photo shoot.